If you’re just getting started at DealDash you might be puzzled at all of the different ways that people use to bid on items. Be mystified no more, here is a handy guide to a few different bidding styles. The Newbie: The Newbie tends to be overexcited about their first few times on DealDash, and they bid like crazy on every auction on the home page, without even opening up the item page or doing any research whatsoever. This bidding style very rarely wins anything, and just leaves the bidder frustrated. The Stomper: Everyone hates The Stomper. The Stomper picks an auction, and rather than bidding politely and waiting for the timer to go down to 2 or 3 seconds they bid immediately after a person, therefore cheating the person out of their “clock time.” The Stomper is not the best way to bid, because it usually ends up making people angry and they will just keep bidding til the BIN (Buy It Now) price any possibly even beyond just to spite The Stomper. However, occasionally being The Stomper can win you an auction, especially if you are bidding against The Newbie, because as we talked about above The Newbie is easily frustrated and will move on pretty quickly. The Bid it and Quit it: The person who uses “The Bid it and Quit it” style tends to spread out small amounts on bids on many different auctions in the hopes that they might get lucky and have one of the auctions that they picked to The Bid it and Quit it are one of those magical auctions that ends for just a few cents. This bidder tends to do some research on when is the best time to bid, as well as picking lower value auctions that might not be as popular. On first glance you might think that The Bid it and Quit it and The Newbie are the same, but they are really very different – The Newbie is surprised and frustrated when they don’t win, and The Bid it and Quit it doesn’t really expect to win, they just like the thrill of possibly winning something for pennies. 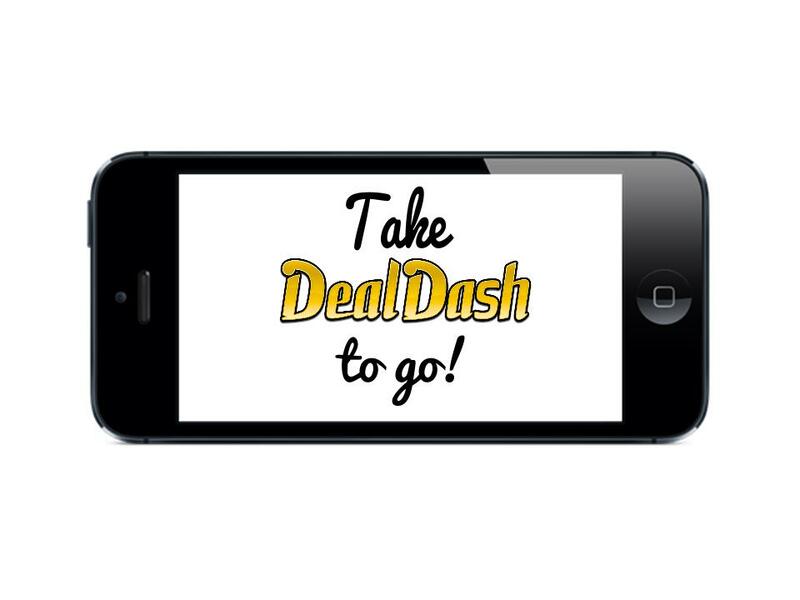 The Bid it and Quit it treats DealDash as if it’s a virtual scratch ticket, tossing away $5-$10 in bids in hopes of a big payoff. Those are just a few of the ways that people like to bid on DealDash. What’s your favorite way? Please stay tuned for future blogs where I will discuss more advanced ways to bid. For now, check out the auctions and see what you would really like to bid on, and try my tips to save bids. See you on DealDash everyone! Good luck and happy bidding. Oster makes high-quality kitchenware that won’t leave your wallet burning like your Mother-in-Law’s cooking. After chopping your veggies you might have realized that you just couldn’t get your herbs chopped up fine enough so you brought out your Oster 12-Speed Metallic Gray Blender with 3-Cup Food Processor. That was a wise move on your part, because you can chop and grind with the sharp, resilient stainless steel blade, and it even has 450 watts of power! It also has a an all-metal drive system, instead of plastic, to make the Oster blender more durable and long lasting. The BPA-free food processor accessory features a large-capacity, 3-cup bowl, perfect for chopping, mixing and mincing vegetables, nuts and more. After everything was chopped and ready to go you tossed it all into the 12″ x 12″ Oster DuraCeramic electric skillet and let Oster help you finish up dinner. You love how the DuraCeramic coating resists flaking and peeling to ensure lasting use, facilitates food removal, and is even PFOA- and PTFE-free to keep your family safe. Whatever dinner you might have been craving Oster has the tool to help you create it. If you’re interested in learning a little history about the Oster company, you might be interested to know that Oster started out as The John Oster Manufacturing Company, they were a maker of small appliances. The Oster brand is continued today as a trademark of Sunbeam Products. The company was started in 1924 by John Oster, manufacturing manually powered hair clippers designed to cut men’s hair. John Oster Manufacturing Company was established in the garage of John Oster in Racine, WI. In 1946, in order to diversify, the John Oster Manufacturing Company bought the Stevens Electric Company, which had received a patent on the liquefying blender in 1922. After the acquisition, the brand “Osterizer” was adopted for these blenders. In 1960, Oster Manufacturing was acquired by Sunbeam. I hope you and your family enjoy Oster products as much as my family does. Head on over to DealDash and check out what Oster products are coming up soon. And remember, if you don’t end up winning the product you want you can always BIN (Buy it Now) and get all of your bids back. Good luck everyone! Go check out your small appliances in your kitchen. No really, get up and go look. I bet you have at least one Hamilton Beach small appliance, maybe even more. Okay, now that we have had a little field trip to the kitchen, did you grab yourself a snack while you were there? Maybe some popcorn from your Hamilton Beach Hot Oil Popcorn Popper, a smoothie with the Hamilton Beach Personal Blender, or did you go all out and make yourself a delicious Belgian waffle with your The Hamilton Beach Flip Belgian Waffle Maker? If you made yourself a waffle, I hope you also made a yummy cup of coffee with your Hamilton Beach 12-Cup Programmable Coffeemaker, too. Whatever snack you might have been craving Hamilton Beach has the tool to help you make it. The Hamilton Beach name actually has a really interesting story behind it — You might think that Hamilton Beach is named after either the founder of the company, or maybe their favorite vacation spot, right? Well, you would be wrong on both counts! Hamilton Beach was actually founded by inventor Frederick J. Osius in Racine, Wisconsin in April 1910. The Hamilton Beach Manufacturing Company took its name from two men Osius hired, Louis Hamilton and Chester Beach. Osius did not care for his own name, so he paid Hamilton and Beach $1000 each for the right to use their names instead. Isn’t that an interesting little tidbit of information on one of our favorite small appliance companies? Up until now we have only talked about the kitchen gadgets that Hamilton Beach makes, but they actually make a variety of other products for the home that you might be familiar with as well – a full-size garment steamer, a True Air Odor Eliminator, irons, and many more. Personally, my favorite Hamilton Beach product is the Hamilton Beach Programmable 5-Quart Slow Cooker. Now that we are in spring headed towards summer I won’t use it as much, but in the fall and winter months my family lives off of soups and stews that I make with the Programmable 5-Quart Slow Cooker. It’s such an easy task to chop up some meat and veggies and throw them into the slow cooker in the morning and have a delicious soup or stew ready at dinnertime. I don’t usually make huge meals, but this slow cooker is the ideal size for a 5-lb chicken or 3-lb roast. You can choose from anywhere between 2 to 10 hours of cooking time. Once your desired cook time is complete, the slow cooker will automatically switch itself to the warming setting., which is really handy if you end up working late that night! The Hamilton Beach Programmable 5-Quart Slow Cooker stoneware vessel and lid are dishwasher safe, which makes clean-up extra easy. I hope you and your family enjoy Hamilton Beach products as much as my family does. Head on over to DealDash and check out what Hamilton Beach products are coming up soon. And remember, if you don’t end up winning the product you want you can always BIN (Buy it Now) and get all of your bids back. Good luck everyone!